Join us this week on the Elevation Trail Show as we get Gary pumped up to race his 45th Boston Marathon. We also chat about true elite road racers filtering into ultrarunning and other stuff. Thanks for listening! 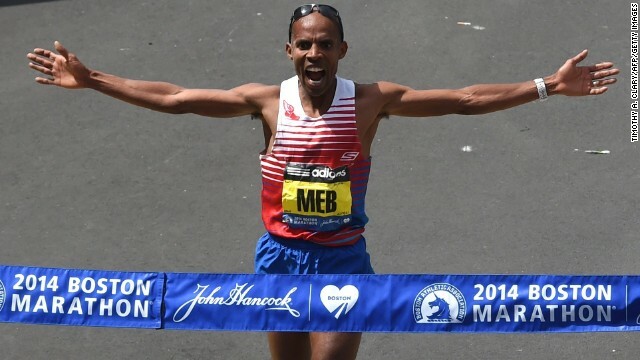 This entry was posted in Commentary, Podcasts, Race Preview, Race Profiles and tagged Boston Marathon, Elite Runners, Nutrition, Pacing, Ultrarunning Podcast. Bookmark the permalink. I agree with you that with running talent trumps all else, and that any top-tier elite road/track runner would do extremely well in ultras if they wanted to. The specificity part of the equation – terrain, nutrition, and a lot more time on the feet / developing slower gears perhaps, are the easy bits that at most would be a bit of learning curve. I found it a bit odd that you mentioned Camille Herron’s 100k and then Ryan Hall almost as if they are at the same (relative to gender) level. CH I think is more the level of a King, Canaday, etc. who are already also doing well in ultras. There are actually quite a few women and men at this (road) level in ultras. To have Ryan Hall run an ultra would be like having Shalane Flanagan. In 100 milers, maybe more so longer/tougher ones, the playing field levels to a point where it becomes a lot more interesting due to so many more variables. Talent alone doesn’t cut it there, but if all else is even remotely ‘equal’ then yeah, I’d bet on talent any day. Did cycling go through this same sort of thing when mountain biking became more competitive? Ryan is in a different league when he is healthy. Too bad he is dinged up so much. There is a certain talent to running on uneven surfaces for sure, but in most races, I don’t think it is that much of an equalizer (there are extreme examples of course). So I agree, I would bet on talent. In this year’s cyclocross world championships, the female winner Pauline Ferrand-Prevot is a person who only dabbles in cyclocross and some mountain biking. She does a lot of road cycling, and is very fast. When she won, there was some consternation around a person who is not a full time cyclocross competitor winning it. Most people were happy to see the fastest person win in a great race. Marianne Vos is the same. Very fast on the road and track, and then pops into cyclocross and can dominate.